Adventures of Elis: Marvellous MONTRÉAL, Canada. This was a very exciting trip for me as it was my first time on North American soil. Montreal is a fascinating city which perfectly captures the unique culture of francophone Canada. I had a lot of fun here and loved the liberal, laid-back feel of the place. 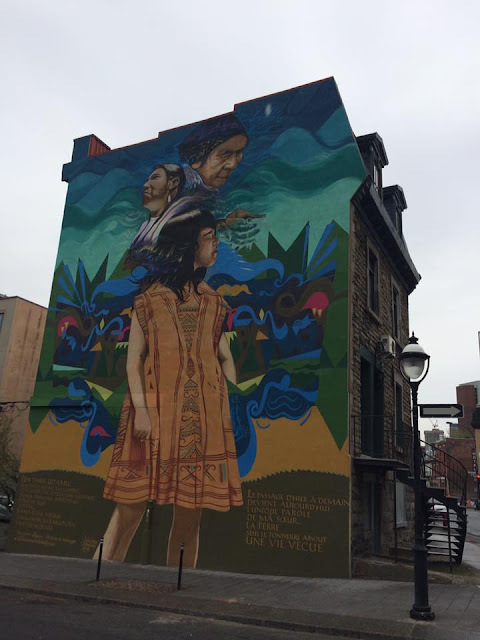 The Montréalais people could not have made me feel more welcome and I hope this post will convince you to check this place out for yourselves. There are a load of things I loved about Montreal, but I have managed to narrow these down to my seven favourite points. So here goes! Wherever you are in Montreal, you don’t need to do much exploring to discover fantastic displays of street art. Large, colourful murals are plastered over the sides of buildings, often in the most unlikely spots. This is a physical memento to Montreal’s arty reputation – the city attracts both professional and amateur artists from all over Canada. Whilst street art is abundant throughout the city, those with a particular interest should head to the studenty neighbourhood of Le Plateau (Sherbrooke and Mont Royal stations on the Métro). Montreal’s liberal atmosphere is one of the first things which I noticed when arriving in the city. I’ve always heard of Canada’s open-minded reputation, but seeing it for my own eyes brought a big smile to my face. This liberal atmosphere is most noticeable in the city’s huge gay district, known locally as Le Village. This roughly refers to the neighbourhood around Beudry Métro station. 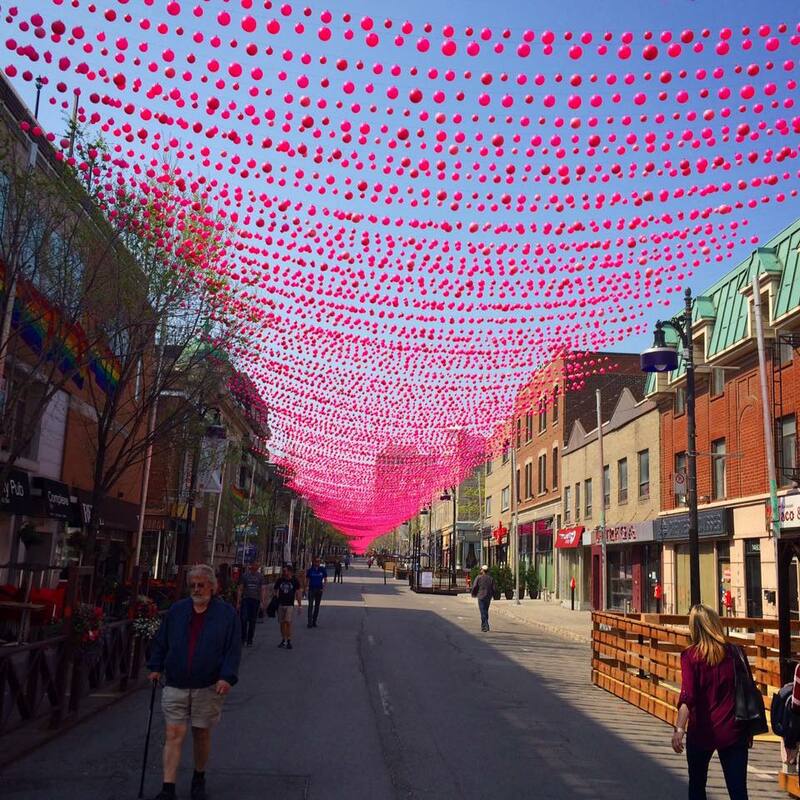 This section of Rue de Sainte Catherine is vibrant and colourful, decorated with an array of rainbow flags and pink bubbles, which stretches for more than a mile. In spite of the plentiful gay bars, this part of the town is not only popular with the LGBT community, but instead forms a safe and vibrant party hub where everyone is welcome. Known in French as Vieux Montréal, the oldest part of the city is certainly the prettiest. The area immediately behind the Old Port is made up of cobblestone streets and cute grey stone buildings. This quirky part of town would not be out of place in Europe. 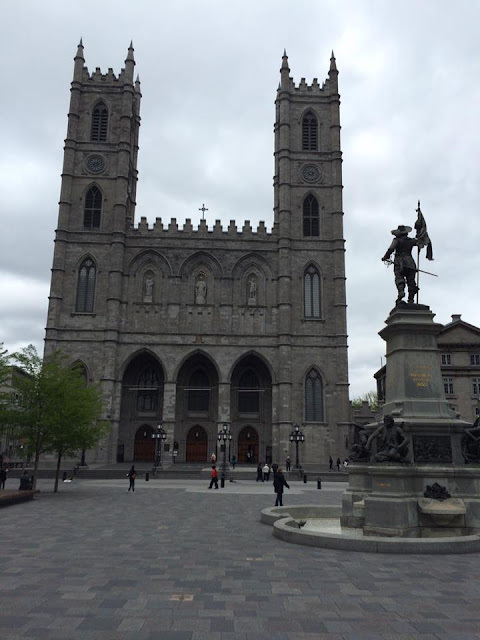 Vieux Montreal was founded by French colonisers in the 1600s and was later influenced by British architects. To this day, it offers an excellent window into Québec’s colonial past. The jewell in Old Montreal’s crown is the Notre-Dame Basilica in the grand Place des Armes square, perhaps the most spectacular landmark in the city. 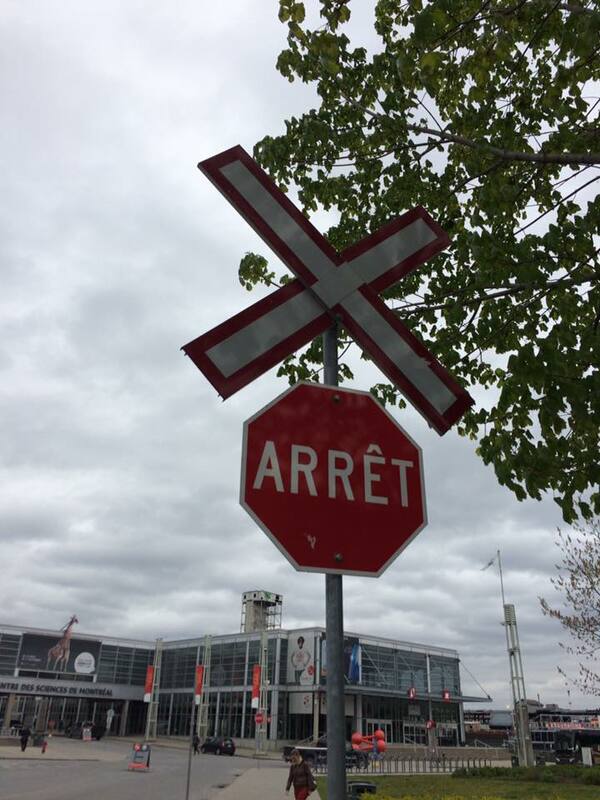 It would be a shame to speak about Montreal without discussing language. French is the city’s sole official language, along with the entire province of Québec. In fact, Montreal is the second largest francophone city in the world after Paris. Whilst my French language skills are lacking somewhat, I can’t help but find the language absolutely beautiful. It is relatively easy to get by in Montreal with English, as many people are bilingual to a degree, but even a basic level of French will help you to get the most out of this fantastic city. 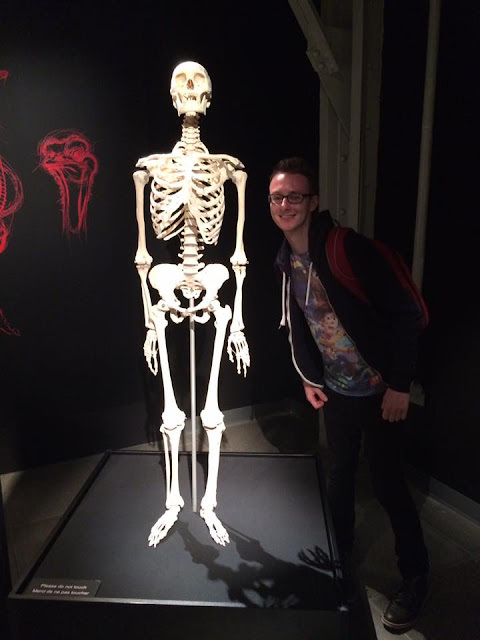 As a lover of science, this museum was for me one of Montreal’s must-see attractions. Nestled upon the waterside of the Old Port, this museum is packed with all sorts of interesting exhibitions as well as a large IMAX cinema. Exhibits and films are available in both French and English. The Animals Inside Out exhibition was fascinating and I loved the film about the planet. The museum is very engaging and many exhibits include ‘hands-on’ activities, giving an enthralling insight into the world of science. Poutine is made up of French fries and rich gravy, topped with cheese curds. Popular variations use different sauces and additional toppings. 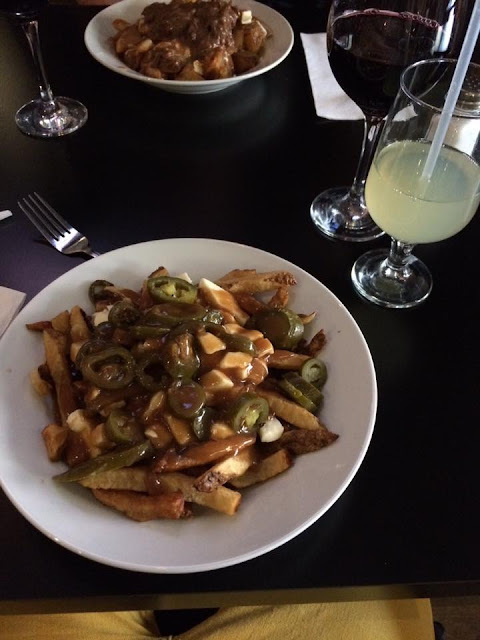 It can be found everywhere in Montreal and several restaurants are dedicated solely to this dish. From a British perspective, the idea of this typical Québecois food may seem rather unappetising, but don’t disregard it – poutine is AMAZING. Naughty, but so nice. A perfect way to burn off the calories of the poutine is a walk up Mont Royal. This pretty hill stands at 233 meters above the city and gives excellent views over all of Montreal and the surrounding countryside. 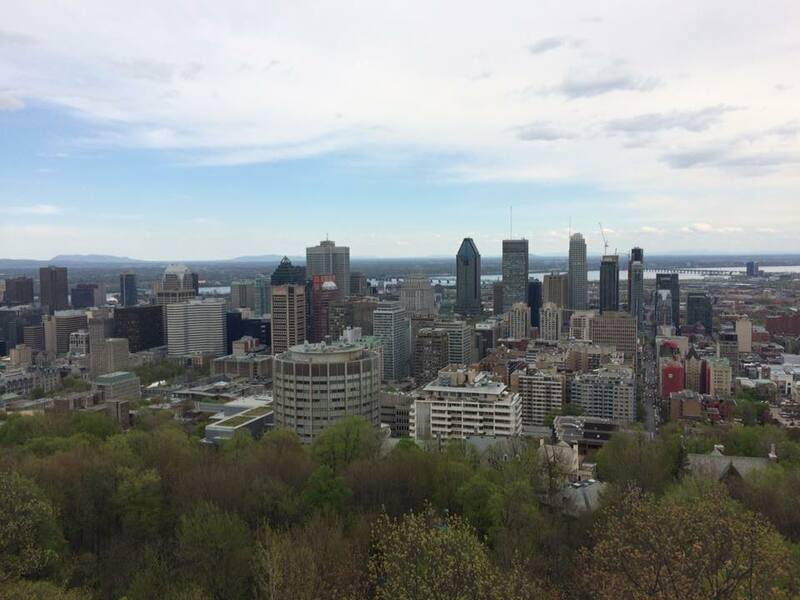 There are a number of viewpoints on the hill, but arguably the finest panorama is from the Chalet du Mont Royal lookout, which gives wide-reaching views over the downtown skyscrapers and beyond to the plains of the St. Lawrence valley. There are steps to the chalet from Université McGill. Montreal earns a 'backpackability' score of 5, meaning it's a very favourable destination for backpackers and budget travellers. 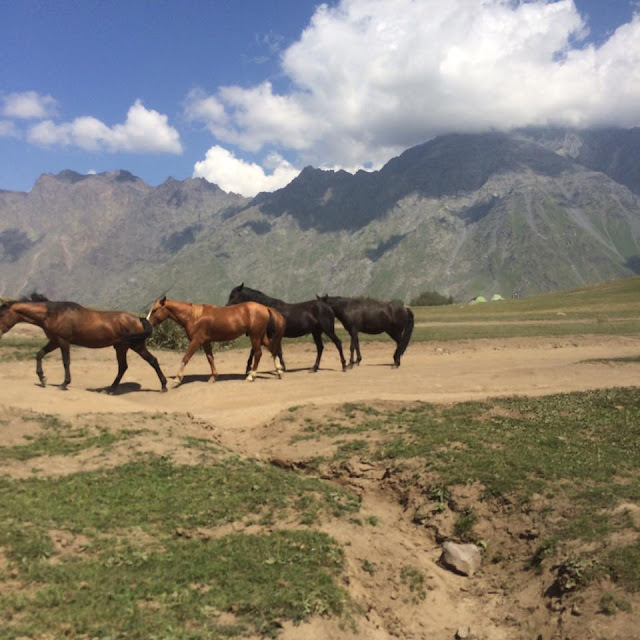 For a more detailed explanation of my backpackability index, see this post. It is very difficult to sum up this great city in seven points, but I hope this post will give you an insight. Have you been to Montreal before? Would you like to go? Let me know in the comments below! Thank you for reading. I will follow this post with a review of the Canadian capital Ottawa in the next week or so. Happy travels.